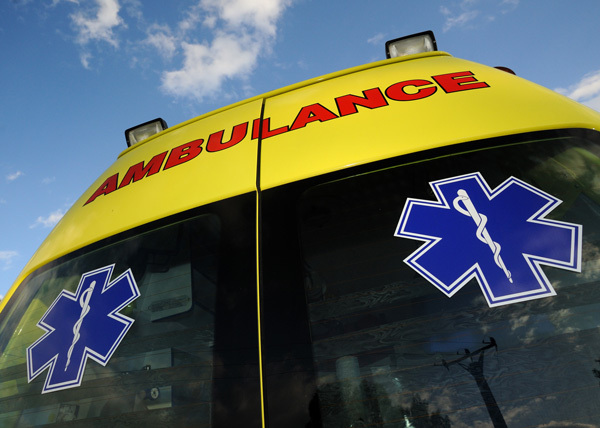 Nothing is worse than going through a medical emergency with no way to call for help. Unfortunately, this is exactly what happens to a shockingly large number of Americans each day. Let’s take falls – which happen to 35% of Americans aged 65+ and 50% aged 75+ – as an example. Falls may seem benign but they are actually the leading cause of death and injury among North American seniors. Case in point: in the U.S., falls lead to 800,000 hospitalizations and millions of emergencies each year, costing taxpayers over $35 billion in healthcare. In Canada, they’re the cause of 95% of all hip fractures among seniors and the primary reason for hospital stays longer than 10 days as well as a major financial drain. Falls often lead to trauma and broken hips which prevent sufferers from picking up the phone and calling for help. Unfortunately, they’re not the only emergency that can instantly isolate an adult. The same is true of less common medical problems like strokes, coughing seizures and panic attacks. Fortunately, there is a simple way to guarantee that medical care arrives on time. It’s been around since 1977, so it’s both time-tested and battle-proven – and it’s called the personal medical alarm. What Are Personal Medical Alarms? Here’s what you need to know about personal medical alarms (PMAs). They consist of 2 parts: a push-button unit and a base station. The push-button unit is worn or carried by the patient, and can be pressed to get in touch with emergency services. Sometimes, this means 911 or the local hospital. If this is the case, you just have to buy the PMA; there’s no monthly service charge. Most of the time, though, PMA brands have their own call centers and specially trained operators. This option will run you $25-$50/month, which is affordable enough that most people can pay without having to think twice. In addition to the push-button unit, WiFi and Bluetooth-enabled PMAs come with a base station that connects users to the landline or world wide web. Some more expensive units are powered by satellite frequencies and don’t require base stations; these models work no matter where you are. Generally speaking, all PMAs are fairly similar. A few, however, have unique features – like our alarm’s, which detects and reports falls without the user needing to press a button. As we mentioned earlier, falls are the leading cause of injury & death amongst the elderly. 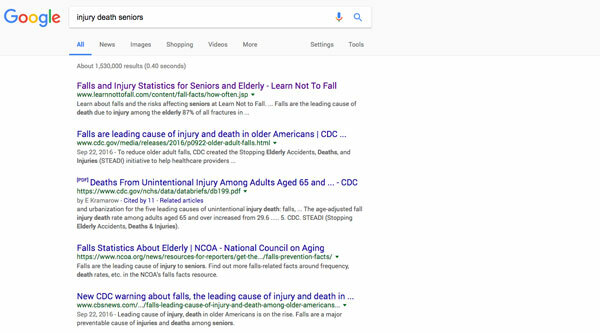 Just try Googling “injury death seniors” – most of the results will be for falls! This is partially because all kinds of medical emergencies ultimately result in a fall. A loss of balance, a loss of consciousness and a loss of muscle control are just a few things that can send you to the ground unexpectedly. This is a problem – because the average hospitalisation bill for a fall is a whopping $30,000. Fortunately, personal medical alarms are a strong first line of defense here. First, they make it easy to call emergency services. Second, some new-wave PMAs automatically detect when a fall has happened, making sure medical care arrives – even if the user is unconscious or incapable of pressing the button. Falls are uniquely dangerous because they can result in a loss of consciousness, disruption of motor function and/or a concussion. These sorts of injuries make it impossible to call help quickly – which makes fall emergencies the most dangerous of all. At the same time, one shouldn’t forget that other medical problems can come around suddenly – especially if you’re getting up there in years. Having a PMA on hand is a clever way to insure yourself against such surprises. When a person is incapable of looking after themselves, they have to leave the home they’re used to and comfortable in. This can be a source of stress, worry and diminished life quality – as well as an inconvenience for friends and family members. Personal alarms help avoid this for as long as possible. They simplify the process of calling for help by removing the need to get to the phone, find a number and dial it. This allows users to continue living at home for longer than they would otherwise – and sometimes eliminates the need for care services completely. A 2011 study found that a 14-minute reduction in response time improves cardiac arrest survival odds by 24%. This is unfortunate, because the average response time for an emergency call is 10 minutes. In other words, a few minutes spent getting to the phone can be the literal difference between life and death in these situations. And even when emergencies aren’t life-threatening, they’re still handled best when first-responders arrive quickly. This isn’t just because getting timely medical attention improves survival rates and prevents further damage. It’s because having a medical emergency is incredibly stressful, and having to wait for help only makes it more so. At the end of the day, you can’t place a value on knowing that you and your loved ones are safe. Home PMAs cost on average $30/month, mobile ones – $40/month, but the peace of mind you get is worth far more. As an added benefit, it’s a lot easier to live a happy life when you know that emergency services are just a push away from being in your home in minutes! We believe these reasons are important enough that every person of retirement age should have a simple push-button device that directs them to 911. If you think that a PMA may be right for you or someone close to you, click this link to fill out our free medical alarm questionnaire. It’ll help you figure out what you should do in as little as 5 minutes! Alternatively, if you’ve already decided to get a medical alarm (or alert) product, why not check out our product range? They start at just $19.99/month; they come with next-gen features, like automatic fall detection; no-contract options that allow you to cancel at any time. If you’d like to check them out now, click here – or start by filling out the free medical alarm questionnaire!